Found 6 blog entries for June 2007. AWC join the REALTORS® in their concern that the lack of affordable housing is a barrier to our quality of life. 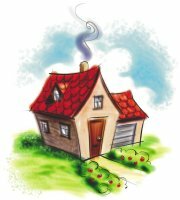 Because "housing was a major topic in the 2007 session" (and "likely to be addressed by the Legislature over the next few years"), AWC will conduct a workshop at their Annual Conference this week to provide input into housing policy needs for the 2008 legislative session and glean ideas for enhancing affordability at the local level. REALTORS® will serve on the panel of speakers with Representative Larry Springer (45th District), and representatives from Futurewise and the Cascade Land Conservancy. CREHST Museum is partnering with Columbia Kayak Adventures to offer the chance of a lifetime. Join us for a full day guided kayak tour of the Hanford Reach. Enjoy the serene beauty of the Hanford Reach, the last free flowing stretch of the Columbia River. Witness the 300-foot tall white bluffs surrounded by shrub-steppe habitat. Learn the history of our Native Americans and pioneers and how the Hanford Nuclear Reservation changed their lives, and the world, forever. Tri Cities Washington Earth Month Statistics Are In! Colleen is incredibly competent, thorough, and punctual. We've worked with many real estate agents before, but Colleen stands out at being the best.